Three established mentoring organizations in Calgary, Edmonton and Red Deer came together to expand mentoring relationships for children and youth in care in Alberta. The participating organizations are Big Brothers Big Sisters of Calgary and Area, Red Deer Youth and Volunteer Center and Boys and Girls Clubs Big Brothers Big Sisters of Edmonton & Area. The collaboration focused on fostering meaningful relationships between mentors and vulnerable youth. The panel will share lessons learned, successes and areas for growth from the perspective of each agency, an advisory group member, an evaluator and a match. 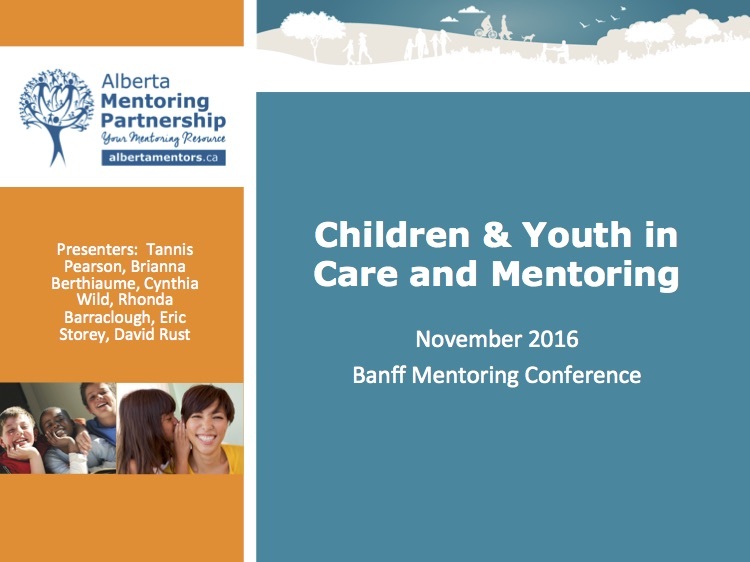 Welcome to the Alberta Mentoring Partnership research portal. Use the search bar above to search broadly and use the below tags to search by a specific year, researcher or category of research.